Around and around and around and around and around…Do you remember spinning yourself around as a child, purposefully trying to create that feeling of a spinning room? Fortunately, this “fun” self-induced room spinning only lasts for a few brief seconds and then disappears. Many people, however, feel this type of dizziness chronically. 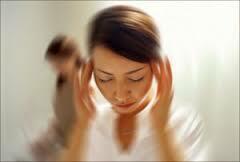 Without any known triggers, this dizziness can occur spontaneously and last for hours, or even days. Vertigo and dizziness is actually not a true diagnosis but is a symptom of a problem in your Vestibular System – the part of your inner ear or brain that controls your balance and eye movement. You may feel a sense that you or your environment is moving or spinning, even though it isn’t. You might feel lightheaded, or like you are floating or rocking. Some people feel as though they are heavy or are being pulled in one direction. Many problems of the Vestibular System are caused by injury, disease, your environment or may be genetic. We-Fix-U Physiotherapy and Foot Health Centres have locations in Cobourg, Port Hope, Peterborough, Bowmanville, and Oshawa, Ontario. They provide services in Physiotherapy, Foot Health (Chiropody), Massage Therapy, and Chiropractic Care.